Precious to the extreme, a fabulous fantasy… intuitively, Karry Berreby sets jewellery free. True to her conception of elegance as refinement tinged with seduction and glamour, she breaks down boundaries between vintage and modern, genuine and faux, essential and incidental, one-off creations and intensely personal impulses. An aristocracy of style that guides the remarkable choices of this discerning designer and collector, who grew up in the footsteps of an irresistibly feminine grandmother. 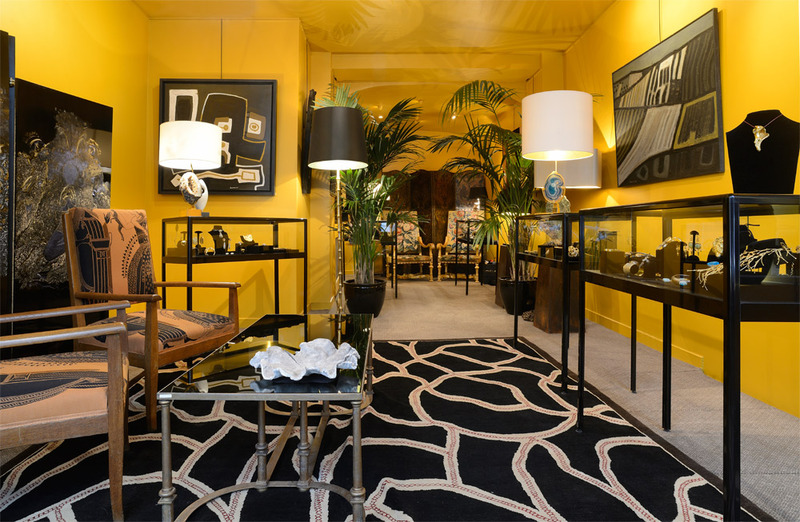 This heritage, a Parisian tradition, led her from studies at Studio Berçot to Karry’O, famed for its intimate boutique in Saint-Germain-des-Prés, whose influence she left behind to devote herself to her own signature style: a sophisticated and original blend of vintage pieces from the 1950s to the 1980s, own-name creations, and the carte-blanche works she commissions from artists. Her insightfulness made her one of the first to reinstate sculpted jewellery, powerful forms, voluminous rings, ornaments, stunning 1970s bijou-watches such as Bulgari’s iconic Serpenti, and vintage timepieces by the great names of Place Vendôme, among them Piaget and Boucheron. She lost no time in placing hard stones and original materials centre-stage; antique and ethnic ornaments were thrust together, revived and revealed. As painstakingly as a goldsmith carves precious metal, she seeks out the delicate beauty of a veined gold leaf or a hammered cuff bracelet, or takes us by surprise with her choice of vertiginous cocktail rings that adorn the hand with a touch of captivating femininity. For the sheer desire to create a unique allure, and drawing on her expertise, Karry Berreby returns to the great names in jewellery with the one-off creations by the likes of Van Cleef, Andrew Grima, Cartier, David Webb or Boivin which she uncovers in Paris, London and New York. Jewellery must always be about pleasure and amusement; it must bring a sculptural, flirtatious touch, add distinction by day and by night with impertinence and passion; these are the hallmarks of Parisian seduction, by Karry Berreby.